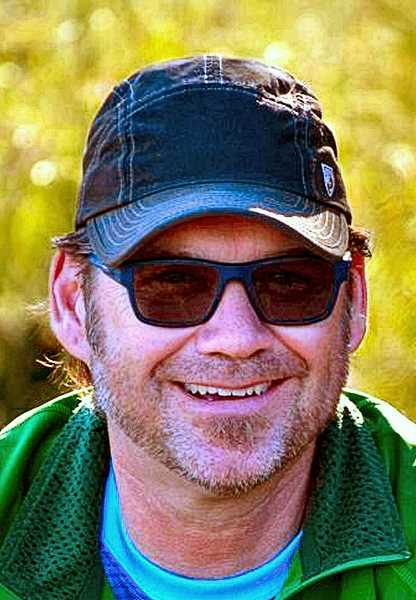 Christopher J. Joachim, 49, of Westmoreland, Portland, passed away on Sunday, August 19, 2018, with his family by his side, after suffering complications resulting from a bicycling accident on Mt. Hood. His family reports that "Chris embraced the Pacific Northwest lifestyle as a bike commuter, snowboarder, and fisherman – especially enjoying his times spent camping and cooking with friends, listening to music, and tinkering on his many bicycles. He also cherished the times he was able to return to his hometown, Green Bay, Wisconsin, for hunting trips and football games at Lambeau field. He was a steadfast and dedicated friend to many – some friendships going back to preschool days." Born on November 30, 1968, to Joan Fahs (Gutowski) and Larry Joachim, Chris reportedly "bled green and gold" in his lifelong passion for the NFL's Green Bay Packers. Chris attended Green Bay's West High School (Class of 1987), and moved to Portland's Sellwood-Westmoreland neighborhood in 1997. On September 20, 2003, Chris married Valerie A. Menely, and their daughter, Isabella, was born a year later. Chris spent his career as an account manager in the freight forwarding/transportation logistics industry, starting with Schneider International (Green Bay/Portland), Integrity Logistics (Wilsonville), and for the past 15 years he was part of the Independent Dispatch, Inc., (Portland) family. Chris will be sadly missed by his wife, Valerie, and daughter, Isabella; by in-laws, Doug and Ruth Menely; and Matt, Sarah and Miles Menely in Oregon; by his father, Larry Joachim; stepfather, Dale Fahs; by his siblings, Jeff Joachim, Nicole Joachim, Mike Joachim, Sean Joachim; by his extended family in Wisconsin; and by countless friends and co-workers. Chris' family wishes to extend heartfelt appreciation and thanks for the compassionate care received at Emanuel Hospital's Neuro Trauma Intensive Care Unit, and to their friends and family, for all the support and love received during this tough time. Celebrations of Chris' life are planned in both Portland and Green Bay, on dates and at locations to be determined.